Chakra Harmonization with Reiki Healing Energy. Chakras massage is a very ancient healing art based on Ayurvedic principles. Chakra massage is performed to balance the body and create harmony in it. Massage releases blocks at energy points, smoothes out energy flows, restores energy where they are missing and heals the body. Each chakra is connected with some aspect of our life. 1. Muladhara - red - is associated with human physical survival and safety. 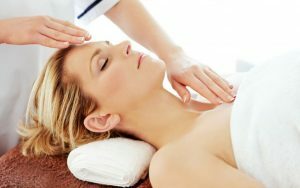 Having experienced the healing of Reiki himself, he will know that he is completely relaxed and calm. Maybe you feel the heat coming from Reiki's hands, or, conversely, coolness. Maybe it's a subtle sting. Maybe even heat. All of these feelings reflect the flow of healing energy from Reiki. It is often that feeling well-meaning is even thought-provoking. In any case, it depends on the human needs of Reiki.